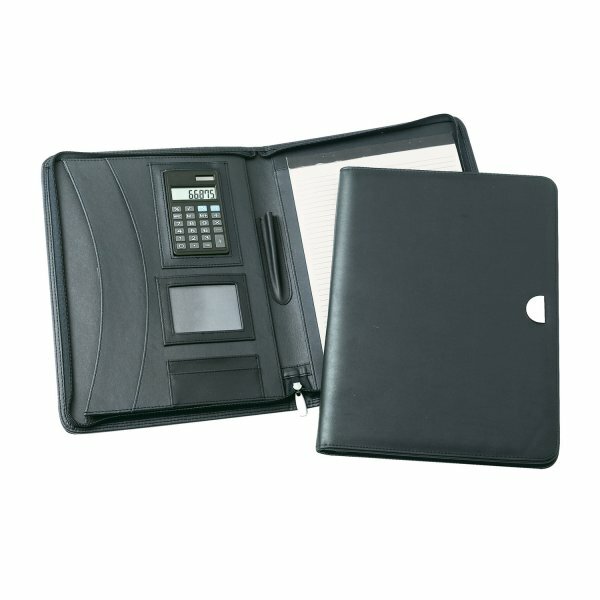 Features include: 2 inside gusseted pockets, business card pockets, pen loop, A4 pad, optional dual powered calculator (D980) and packed in polybag. The nearest thing to leather. These beautifully styled folders are in dark navy finish with a matt silver metal badge and matt silver zippers.